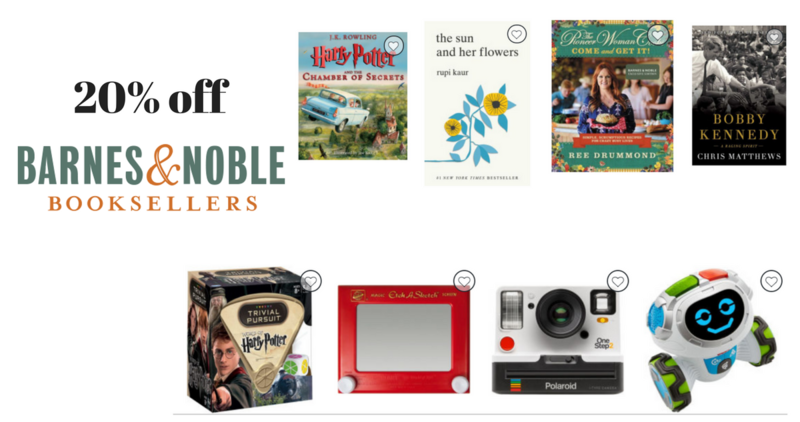 Today only, Barnes & Noble is offering up 20% off any $50+ order when you use code GIFTED. Plus they are also offering FREE shipping on any order. While your first though may be books (and this does make for deals) it also makes a ton of toy deals! They have lots of popular toy items for this year and the only place you can get 20% off certain really popular ones, like Teddy Ruxpin items, Hatchimals, Gund Animated Flappy Elephant and much more! Don’t forget to look through the clearance section too! You’ll find some favorite books in there starting at $1.98 before the coupon!! Plus, they have lots of other great gift items for the whole family! Note: only toy exclusion is LEGO. Offer is for online purchases only. Offer is for today only, 12/15.